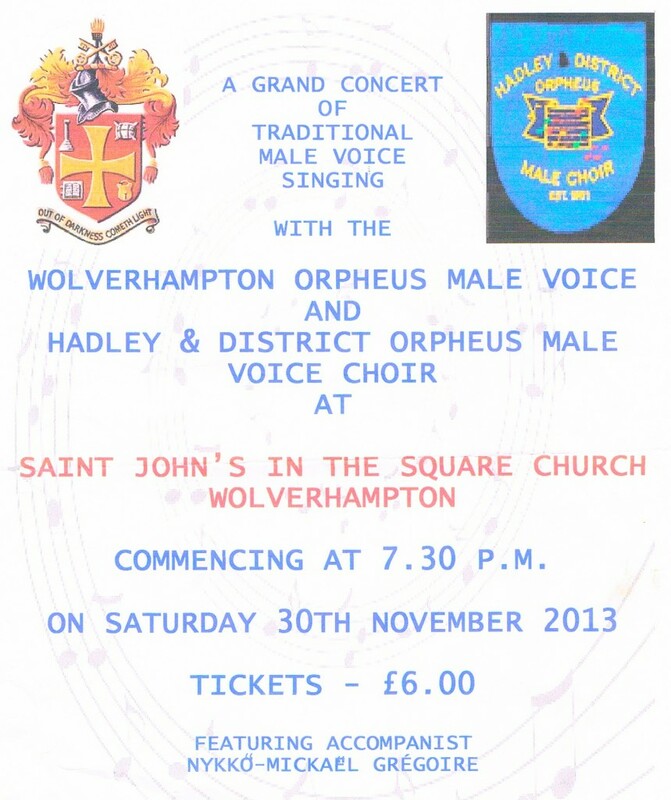 The Wolverhampton Orpheus Male Voice Choir closed their 70th Anniversary year with a Grand Concert of traditional male voice singing at Saint John’s in the Square Church, Wolverhampton on Saturday 30th November 2013 commencing at 7.30 p.m. The Orpheus were joined by Hadley Orpheus Male Voice Choir. Along with the Orpheus Piano accompanist, Cynthia Bostock, was Hadley’s accompanist, Nykko-Mickael Gregoire – who performed on the Church’s famous ‘Renatus Harris’ Organ as part of the programme. Ambulance – concluding our two year ‘community partnership’ – bringing the donations raised to more than £4,200. This was gladly received by Sofia Voutianitis – Regional Fundraising Manager for the Midlands Air Ambulance. 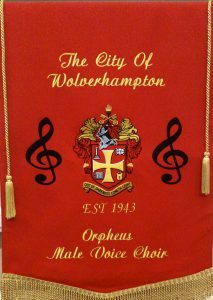 On 3rd November, the choir took part in the annual Festival of Remembrance Service held in Wulfrun Hall Wolverhampton. Here is a link to a report in the Express & Star newspaper. There are some photos & a short video from the event. Also, this is a related story that appeared in The Chronicle (Express & Star’s weekly free newspaper.) on Thursday 24th October 2013. Peter Murphy is Vice Chair of our choir.